Far from the coastal centers of culture and politics, Kansas stands at the very center of American stereotypes about red states. In the American imagination, it is a place LGBT people leave. No Place Like Home is about why they stay. The book tells the epic story of how a few disorganized and politically naïve Kansans, realizing they were unfairly under attack, rolled up their sleeves, went looking for fights, and ended up making friends in one of the country’s most hostile states. The LGBT civil rights movement’s history in California and in big cities such as New York and Washington, DC, has been well documented. But what is it like for LGBT activists in a place like Kansas, where they face much stiffer headwinds? How do they win hearts and minds in the shadow of the Westboro Baptist Church (̶Christian” motto: “God Hates Fags”)? 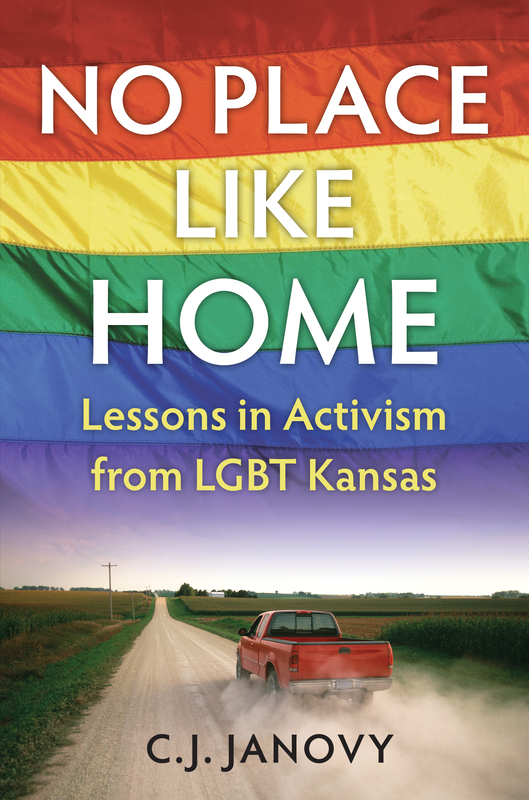 Traveling the state in search of answers—from city to suburb to farm—journalist C. J. Janovy encounters LGBT activists who have fought, in ways big and small, for the acceptance and respect of their neighbors, their communities, and their government. Her book tells the story of these twenty-first-century citizen activists—the issues that unite them, the actions they take, and the personal and larger consequences of their efforts, however successful they might be.